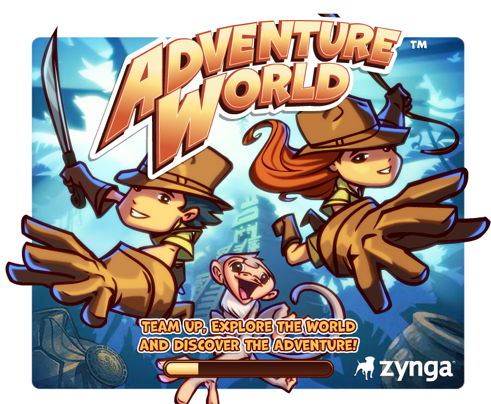 Zynga teased us earlier this week with a short promotional video of its newest Facebook game, Adventure World, which allows users to ‘team up, explore lost worlds, and unearth adventures.’ Now we have all the details on the game, which will be live on Facebook in the coming weeks. Adventure World was developed and incubated in Zynga Boston, which used to be Conduit Labs. Conduit’s founder and Zynga Boston General Manager Nabeel Hyatt tells us that the core technology (a flash-based game engine) to support Adventure World has been developed from scratch over the past year. Hyatt adds this is Zynga’s largest, most graphic and feature-rich game to date in the company’s history. In fact, there are over 20,000 different objects in Adventure World. 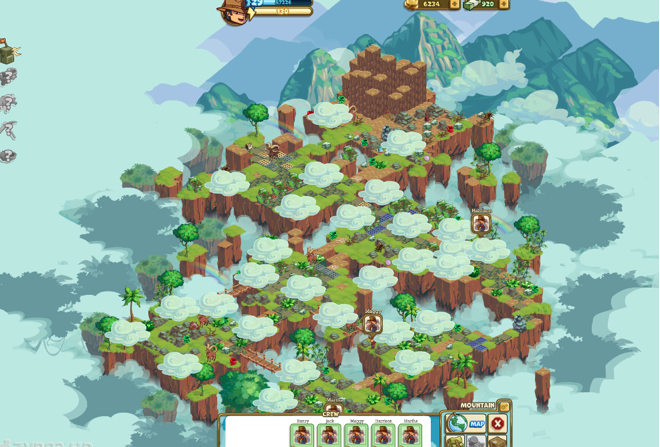 Adventure World is set during what Zynga calls the ‘golden age of exploration,’ where players can unlock new universe of exploration, discovery, and puzzle-solving. Think Indiana Jones-meets Super Mario Brothers meets FarmVille. And the social adventure genre is a deviation from the ‘Ville’ and ‘Wars’ themes that have pervaded Zynga’s most recent games. Here’s how the game works. 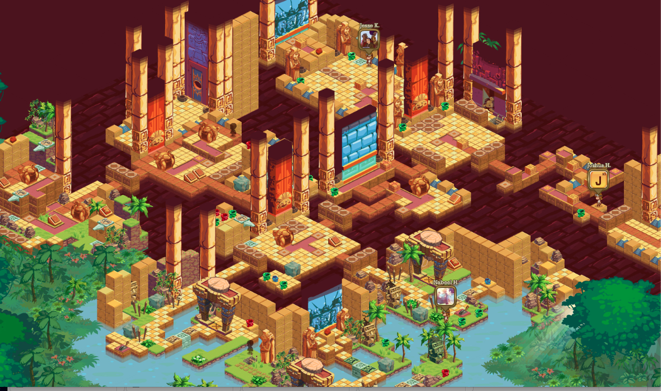 Adventurers visit five worlds in ‘Mezo-America’ (Deep Jungle, Mountain, Cavern, Volcano and El Dorado), and will enter more than 30 different dynamic environments and embark on 200 different quests during the course of the game, while encountering ancient puzzles, battle nasty critters and unlock clues on the quest to discover the secret to El Dorado, the City of Gold. Players can customize a 3-D avatar and buy virtual goods via gold coins by stockpiling an inventory of specialized adventure tools and gadgets (including machetes, pickaxes, whips, dynamite and grappling hooks) to help them explore the game. 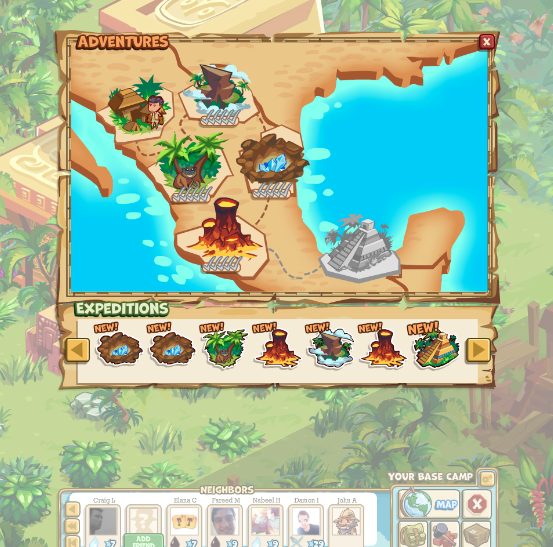 The game starts with players flying to the Base Camp in Central America, and joining the Adventure Society to uncover El Dorado. Players enter into the jungle to face bad-tempered vipers, disarm booby traps and outwit ancient puzzles. They then run into rams along the foggy cliffs of Mountain, avoid scurrying spiders and runaway mine carts in the Cavern, teeter across rickety bridges to escape the Volcano to finally discover the secret of El Dorado. The total game size is more than 40 times the size of past Zynga games and includes over 1,000 distinct art assets (such as five kinds of snakes, four kinds of spiders, two kinds or rams), as well as an endless amount of character customizations, where players can choose from over 10,000 different avatar variations at launch. To build these vast, interactive environments, the Zynga Boston team created a next generation flash engine, which include two main parts. First, an advanced rendering technology delivers fast performance, higher frame rates and 3D-like worlds. 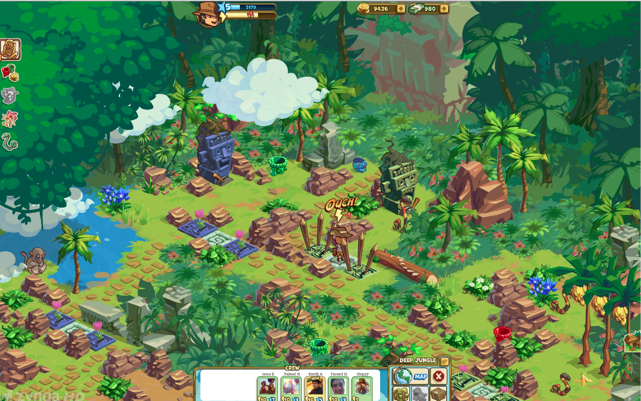 Second, a world editor allows the team to build players a much larger, more detailed world and high interactive environments that includes puzzle-based game play. Hyatt tells us this is the first major puzzle-based game in Zynga’s arsenal of titles. This is also the first game, explains Hyatt, where the players have a ‘sense of consequence.’ Basically, players can do things in a good way or bad way, depending on their actions. As you travel through the game, you accomplish certain things in each world and environments (i.e. blow up a mountain top of the Volcano with dynamite). So what about social? Well, Hyatt says that Zynga has created a unique social functionality to Adventure World that allows players to invite a crew of up to twelve Facebook friends on a game board to share their adventure. You can then using your friends’ special tools and abilities to dispatch enemies, unlock puzzles and progress across Adventure World’s treacherous lands. For Zynga, Adventure World is a big step (and a bit of a departure from the FarmVille-style) towards larger, more-feature rich games. And Hyatt this is the first time Zynga has integrated multi-dimensional depths to a game. Avatars are rendered in 3D and the game itself is rendered in 2D. Hyatt adds that Adventure World will be the first of many expansive, ‘social adventure,’ graphic-rich games in the Zynga game library. Of course, it should be interesting to see if Zynga players on Facebook respond. Zynga has been churning out games of late, releasing The Pioneer Trail, Empires & Allies, a Chinese version of CityVille, a CityVille iOS app, Words With Friends on Facebook, and Hanging with Friends. But Adventure World took a year to build, and the company actually invested in building a whole new game engine for the title, so clearly, the company expects for this one to be a hit.